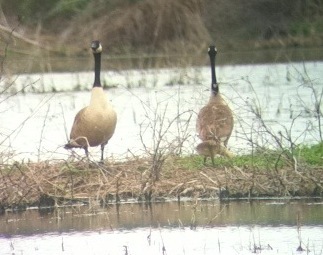 Canada Goose - (Pair with chick) - Tarrant Co., Village Creek Drying Beds. May 5, 2012. One of only a handful of documented nest records for North-central Texas.